On the low-turnout Nov. 3 election, 56% of voters approved Proposition J, the Legacy Business Historic Preservation Fund. The new fund will provide grants to locally-owned businesses and offer commercial landlords incentives to offer these businesses long-term leases. Despite the legislation’s goal of maintaining “cultural identity” and fostering “civic engagement and pride,” one opponent says it’s unlikely that the fund will make or break a small business. “I have two businesses right next door to each other,” said Roger Soudah, owner of Cole Valley’s Say Cheese, who also operates Cafe Reverie. “Say Cheese will turn 40 next year, but Reverie will only be 22 years old,” he explained, noting that he owns the cheese shop but rents the adjoining cafe. “If you ask me, Prop J is just about throwing a bone to small businesses,” Soudah added—an especially surprising criticism since he stands to benefit from it personally. The full text of the new law says legacy businesses must have operated in the city for more than 30 years, contribute “to the neighborhood’s history and/or the identity of a particular neighborhood or community,” and be “committed to maintaining the physical features or traditions that define the business, including craft, culinary, or art forms.” To be listed, a business must first be nominated by the Mayor or a Supervisor. Qualified legacy businesses may receive grants for as much as $500 per full-time employee each year. Landlords may receive up to $4.50 per square foot for signing leases 10 years or longer with qualified businesses. The city Controller’s office estimated that approximately 7,500 businesses qualify for the registry and that the new fund would cost approximately $3.7 million in the coming fiscal year, with costs reaching the $51 to $94 million range within 25 years. Only 300 new businesses may be nominated for the registry in any fiscal year. Besides help with payroll and rent, the fund may also cover “business and technical assistance,” “commendation initiatives” and direct financial assistance. The legacy registry currently contains 142 bars and restaurants around the city. 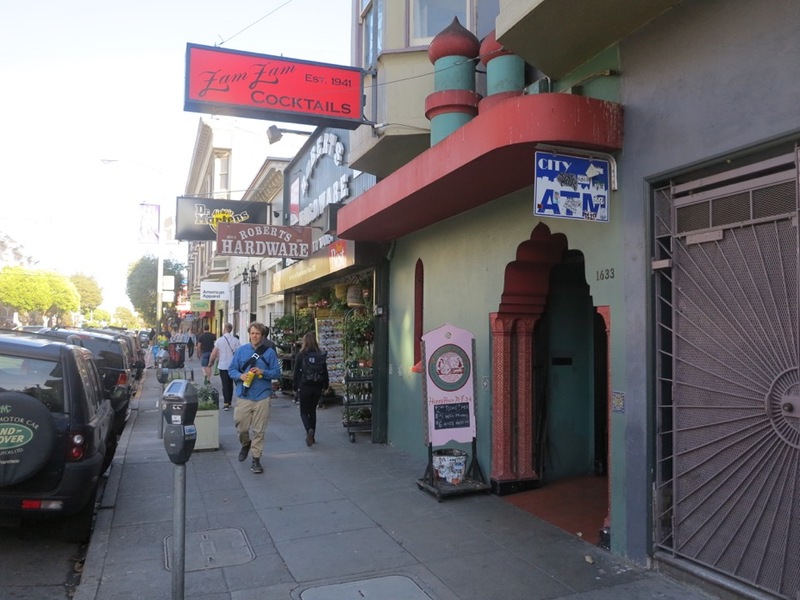 Aub Zam Zam, Kezar Pub and Art’s Cafe are the only businesses in Upper Haight, Cole Valley and the Inner Sunset that have made the list so far. If Soudah rented space for Say Cheese, he estimated receiving a maximum employee grant of $1,500 and a lease grant of $4,500. “But no one’s raising the rent by $500 per month; they’re raising it $2000 or $3000 per month,” he said. “Truthfully, it’s not really that helpful.” His current lease for Reverie Cafe comes up for renewal in 2016. Soudah said grants from the legacy fund would be unlikely to tip the balance for an independently-owned business. “One bad month isn’t going to shut a legacy business down,” he said. “You know what this is going to end up being? Giving free money to businesses that don’t really need it.” Instead of a grant program, Soudah said officials should make efforts to help merchants with everyday issues like preserving parking spaces, fending off chain retailers and working with the Department of Health.